Looking for brake service near Oklahoma City, OK? Reynolds Ford offers a large selection of brake services in Norman using genuine Ford replacement parts in OKC. 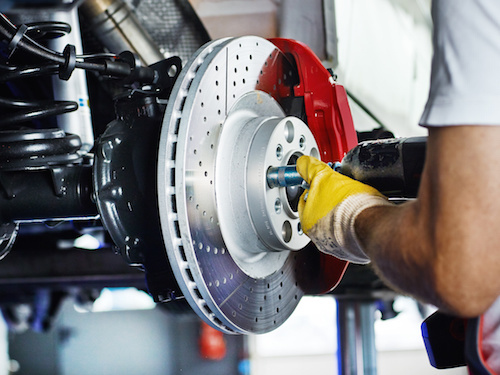 Our Ford brake service experts know your vehicle’s braking system inside out. We have stock brake pads, brake shoes, rotors, drums and more. Take a look at our brake specials and coupons for savings. Bring in your vehicle for service if your brakes are squealing, the brake pedal goes to the floor or if you feel vibrations when braking. Contact us for a free estimate and affordable brake service near Oklahoma City, OK.